David Light, Founder and CEO of Valisure, which is the first online analytical pharmacy that chemically validates medications for quality and consistency joins eHealth Radio and the Health News and Pharmaceutical Channels. What is an online analytical pharmacy? What is the testing process for the medications Valisure dispenses? What was the inspiration and motivation behind founding Valisure? What is the need for a pharmacy like Valisure in the marketplace? Overseas manufacturing of drugs in India and China with limited FDA oversight is a pervasive issue, especially given the recent drug recalls of many blood pressure medications. What is the impact on these drugs to consumers and what should we, as consumers, be aware of? Where might quality control issues be identified in the pharmaceutical supply chain? What could be a possible solution to solve these issues? What do you see as the future of online pharmacies and how they deliver quality and service to consumers? Summary: Valisure is the only online analytical pharmacy that provides consumers with chemically batch-tested medications. With 80% of all medications being manufactured in India and China, and on average three drug recalls a day in the U.S., it’s more important than ever before for consumers to have access to validated meds. Valisure’s mission is to bring transparency and increased quality to the pharmaceutical industry and to deliver these benefits direct to consumers. David Light is a biotech entrepreneur and scientist with over 10 years of broad experience in the field. 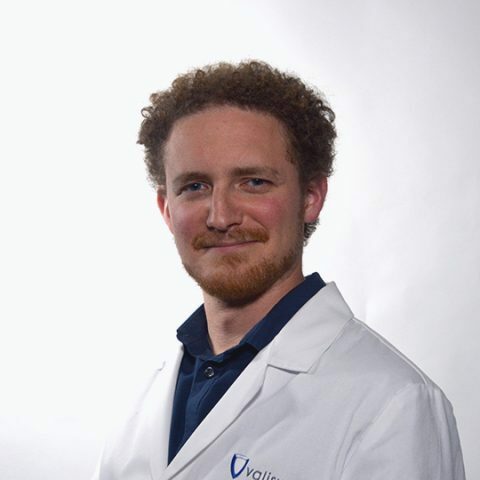 A graduate of Yale University, David studied molecular biology and has worked in a variety of scientific and business roles at start-ups like Synthetic Genomics, Ion Torrent and now Valisure. At Ion Torrent, David developed key technologies that directly led to the semiconductor DNA sequencing company's $725M acquisition and ran it's flagship technology programs through development and global commercialization. 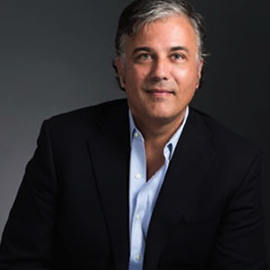 As CEO of Valisure, David helped found, fund and invent Valisure's core proprietary technology. David is named inventor on numerous patents, published in journals including Nature and cover of Electrophoresis, is a member of the Forbes Technology Council, and is very passionate about entrepreneurship and improving public health. Mario Anglada, CEO at Hoy Health joins eHealth Radio and the Diabetes and Health News Channels to talk about the challenges faced by Hispanics and medically under served populations. Tell us about your background and why you started Hoy Health? What are the challenges for patients struggling with diabetes? How do your services benefit Hispanic and medically under served populations? How do these programs help to improve access to care and lower costs? 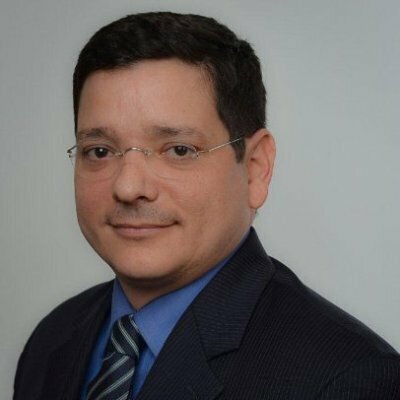 Mario Anglada has over 20 years of experience developed at leading Healthcare companies such as Procter & Gamble, Johnson & Johnson, Nestle Health Science, Univision Communications and now leads Hoy Health LLC. Hoy Health LLC, is a first-of-its-kind health-tech platform that provides a comprehensive and integrated bilingual healthcare support ecosystem to medically underserved patients offering solutions relative to medication access, medication adherence, tele-health and chronic condition management programs. Hoy Health’s core businesses include HoyMEDS, a prescription medication discount program; HoyRX, a medication discount voucher program; HoyCCM, a clinical chronic condition management program and its direct to consumer retail counterpart HoyLIFE chronic condition management kit; and HoyDOC, a telemedicine program. Chris Posner, President and CEO of LEO Pharma US, a leading global pharma company specializing in dermatology and critical care joins eHealth Radio and the Dermatology & Pharmaceutical Channels. What makes this such an exciting time for dermatology? What recent progress has been made in the field? Alternatively, in what areas does dermatology need to make progress? Please tell me a bit about LEO Pharma. I understand the company has a rather long history? What diseases does LEO Pharma help treat? When it comes to research & development, what sets LEO apart from other dermatology companies? Chris Posner is LEO Pharma’s Executive Vice President of Region U.S. and President & CEO of LEO Pharma Inc. – the U.S. affiliate. Chris joined LEO Pharma from R-Pharm U.S., a specialty pharmaceutical start-up focused on oncology and chronic immune diseases, where he was Head of Worldwide Commercial Operations. Chris has extensive experience in the healthcare industry including biologic medicines as well as immunology and led the commercialization of national and global brands at Bristol-Myers Squibb, Pfizer, Wyeth, Endo Pharmaceuticals and Merck. Before joining the pharmaceutical industry, Chris was a senior economic consultant at Wharton Econometric Forecasting Associates. Chris earned his MBA from Fuqua School of Business, Duke University and his Bachelor of Arts in Economics from Villanova University. Alcoholism: Is there a medicinal solution on the horizon? William Stilley the CEO of Adial Pharmaceuticals, a publicly traded company specializing in medicines that fight addiction joins eHealth Radio and the Addiction & Health News Channels. The company’s first drug addresses those with a genetic predisposition to alcohol use disorder and is about to enter into a phase 3 clinical trial. It is estimated that alcohol is the leading cause of death globally among 15-49 year olds. 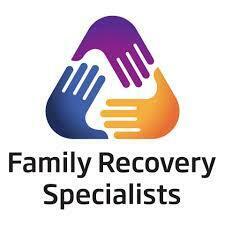 What is currently being done to fight and deal with alcohol addiction? What is Adial Pharmaceutical’s solution to the alcohol addiction problem? Specifically how does your drug work? How does someone get tested for a genetic predisposition? Can they get involved in your clinical trial? Where can interested parties find out more and follow the advancement of your clinical trial? Assuming you are successful in your trial, what’s next and when do you think this solution will be available? William B. Stilley has served as the Chief Executive Officer since December 2010. 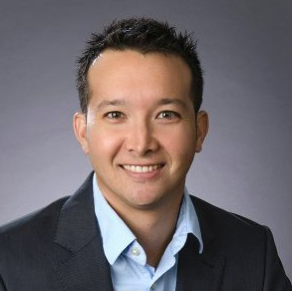 Prior to joining Adial Pharmaceuticals, he was the Vice President, Business Development & Strategic Projects at Clinical Data, Inc. (NASDQ CLDA), where he worked on licensing and M&A transactions and was involved in management of Phase 3 clinical trials, production of Viibryd® for initial commercial launch of the product, and sourcing drug product and drug substance for the Phase 3 clinical trials of the Company’s vasodilator drug for myocardial stress imaging. Before entering the business community, Mr. Stilley served as Captain in the U.S. Marine Corps. Mr. Stilley has an MBA with honors from the Darden School of Business and a B.S. in Commerce/Marketing from the McIntire School of Commerce at the University of Virginia. Until recently, he guest lectured at the Darden School of Business, two courses on the management of life science companies. He currently serves on the Board of Virginia BIO, the statewide biotechnology organization. He also holds a patent for Stedivaze®, which is currently in Phase 3 clinical development. Ray Estefania, Co-Founder and Executive Director of Family Recovery Specialists, an intensive outpatient program for adolescents and adults that also provides concierge crisis/case management and intervention services for all ages joins eHealth Radio and the Addiction Prevention & Health News Channel. When and how does drug abuse start and progress? How can you tell the signs and symptoms of drug use and drug addiction? What drugs commonly cause problems, and how do they affect the body? Why has America’s opioid epidemic gotten so much worse in recent years? Talk to me about your partnership with Miami Beach. What kind of value are you providing residents? Mr. Ray Estefania is the former Director of South Miami Hospital’s Adolescent Addiction Treatment Program. His current role is Co-Founder and Executive Director of Family Recovery Specialists (Miami, FL), an intensive outpatient program for adolescents and adults that also provides concierge crisis/case management and intervention services for all ages. Mr. Estefania has been working as an addiction counselor for over 20 years and was formerly the Adolescent Program Supervisor at Suburban Hospital’s Addiction Treatment Center in Bethesda, Maryland. He has worked extensively as drug abuse counselor and alcohol abuse counselor, interventionist and as a family therapist in the field of addiction treatment. Mr. Estefania is a considered an expert in the field and frequently provides education and training to physicians, nurses, other mental health professionals, teachers and school administrators on topics related to addiction and recovery. Marjorie Clifton, Executive Director of the Center for Safe Internet Pharmacies, a non-profit dedicated to educated consumers about safely buying medicines online joins eHealth Radio and the Health News and Pharmaceutical Channels. CSIP and the Partnership for Drug Free Kids are launching Medicine Safe, a new coalition of national and state public and private organizations dedicated to helping families understand the opioid epidemic, medicine safety and how to prevent and treat addiction. Before we talk about the new coalition, let’s give our listeners some background. It seems that every day we are hearing about the opioid epidemic in the country. Can you give us some insight into how widespread it is? When you talk about opioids, are you only talking about prescription painkillers? Why are so many more people addicted now? Some say eliminating opioids, limiting the number of pills prescribed or incarcerating more people will solve the crisis. Do you agree? It seems like an impossible situation. Let’s talk about the new coalition CSIP and the Partnership started. What is Medicine Safe? What makes MedicineSafe different from all of the other organizations trying to curb the opioid epidemic? Marjorie Clifton is the Executive Director for the Center for Safe Internet Pharmacies (CSIP) and has been helping develop international awareness and policies around medicine safety, illegal online pharmacies and counterfeit medicines since 2011. 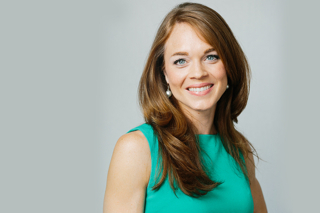 In her role with CSIP she has built global coalitions, communications strategies and campaigns to drive impact and awareness on a range of issues impacting consumers, corporations and global citizens. Marjorie has helped stand up global organizations supporting CSIP’s mission and participates in an Asia-Pacific Economic Cooperation (APEC) working group. She is also called upon regularly to speak on the topic of online counterfeiting and consumer protection at industry conferences, government stakeholder meetings and international forums such as the U.S. Department of State, U.S. House of Representatives, the U.S. Department of Trade, U.S. Department of Commerce, the Global Trade Organization, U.S. Chamber of Commerce, APEC, the Internet for Assigned Names and Numbers (ICANN) and Merchant Acquirers’ Committee (MAC). Ms. Clifton is also a published author and media commentator, appearing regularly on CNN, Fox, NBC, MSNBC, PBS and global radio. Marjorie received her bachelor’s degree in Communications and Spanish from the University of Texas. She received her master’s from Drama Studio London. She is currently a fellow and advisory board member for the Annette Strauss Institute for Civic Participation at the University of Texas and serves on the board for the School of Undergraduate Studies. She is also an executive board member of the non-profit Running Start, and a founder of their Next Step program, which trains young women in career development and politics. 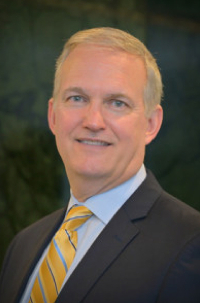 William Ellis, Executive Director of the Board of Pharmacy Specialties® in Washington, D.C. that recently announced approval of Compounded Sterile Preparations Pharmacy as its twelfth specialty certification joins eHealth Radio and the Health News and Pharmaceutical Channels. Can you tell our listeners about BPS? What is the mission of BPS? How many pharmacists are currently BPS board certified? What sets BPS board certified pharmacists apart from other pharmacists? I understand BPS recently announced that Compounded Sterile Preparations Pharmacy is your 12th specialty. What led to that decision? What's next for BPS and board certified pharmacists? William M. Ellis MS, RPh was named Executive Director of BPS in 2011. From 1997-2011, Mr. Ellis served as CEO and Executive Director of the American Pharmacists Association (APhA) Foundation. He was the Executive Vice President for the Pennsylvania Society of Health-Systems Pharmacists from 1986-1997. Mr. Ellis also served as the elected Chair of the Council on Credentialing in Pharmacy (CCP) from 2012-2015. In 2014, he was appointed as a commissioner to the National Commission for Certifying Agencies (NCCA) and served as the NCAA Chairman from 2016-2017. After receiving his pharmacy degree from the Philadelphia College of Pharmacy (PCP), where Mr. Ellis currently serves as the Chair of the College’s Board of Visitors, he completed an executive residency with the American Society of Health-System Pharmacists (ASHP) in 1986 and earned his Master of Science degree in health education from Saint Joseph’s University in Philadelphia in 1994. Dr. Timothy Mackey, Associate Professor of Anesthesiology and Global Public Health at the UC San Diego School of Medicine and an ASOP Global Board Advisor joins eHealth Radio and the Health News and Pharmaceutical Channels to discuss results from a new peer reviewed study published in the November issue of the American Journal of Public Health revealed online pharmacies are using Twitter to illegally sell controlled substances to U.S. consumers. Why is it illegal for pharmacies to advertise opioids on Twitter? Why is this study important for consumers and how does it relate to the current national opioid crisis? In October, Interpol shut down thousands of illegal online pharmacies. Is it enough? Timothy K. Mackey, PhD, MAS is an Associate Professor of Anesthesiology and Global Public Health, the Director of the Global Health Policy Institute and Director of Healthcare Research and Policy at UC San Diego - Extension. Dr. Mackey earned his BA in Political Science-International Relations from the UC San Diego, a Master’s Degree from UC San Diego MAS Program in Health Policy and Law, and his PhD in the Joint Global Public Health program with UC San Diego and San Diego State University. In addition, Dr. Mackey worked over 10 years in industry and has consulted for organizations such as the World Health Organization and U.S. Department of Justice. MatchRX: A One-of-Its Kind Online Marketplace for Independent Pharmacies in the U.S.
Mike Galloway, the Chief Operating Officer of MatchRX, the only online marketplace in the country where independent pharmacies can buy and sell prescription medicines to each other joins eHealth Radio and the Pharmaceutical & Health News Channels. How does the online marketplace work? Why should an independent pharmacy join MatchRX? In addition to the marketplace, what else do you do for your members? What does the future hold for MatchRX? 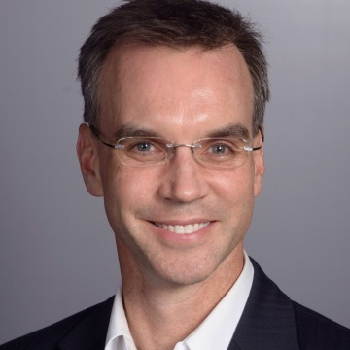 Michael Galloway is the Chief Operating Officer for MatchRX. 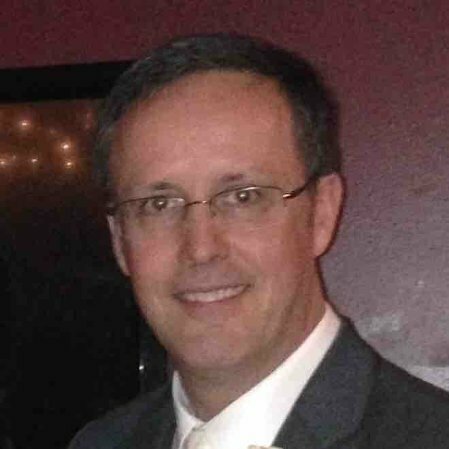 Prior to joining the company in 2012, Mike served as the Chief Financial Officer (CFO) at YourSource Management Group, an HR outsourcing firm. Prior to that, he was the CFO and Director of Business Intelligence for Niche Retail, an eCommerce company that specialize is direct-to-consumer and business-to-business online sales channels. 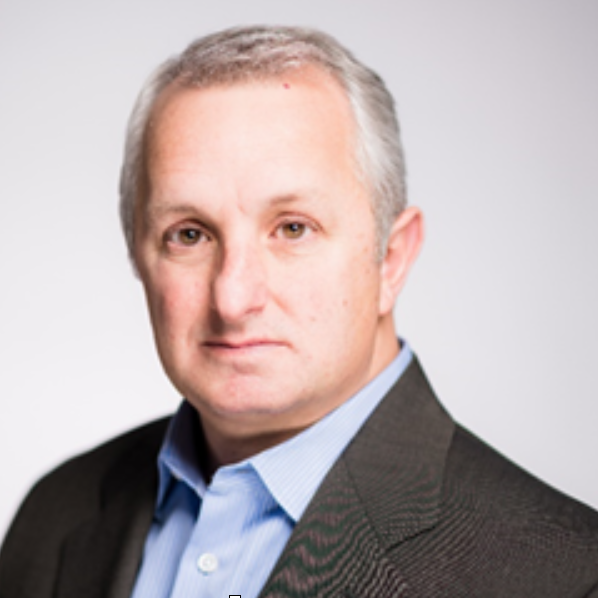 Mike has more than 30 years of experience working in high growth entrepreneurial environments, with a focus on the “marriage” of financial information systems, operating systems, and ecommerce platforms. Jim Arsenis, a Registered Pharmacist based in Sydney and is the pharmacist and medical liaison to health care professionals for the probiotic range Qiara joins eHealth Radio and the Health News and Supplement Channels to speak with us about probiotics in breast milk and how they affect both mother and infant health. Do probiotics exist naturally in breastmilk? How do they get there? What are the benefits for mother and baby? How can they be low or absent in breastmilk and what are the consequences? Can supplementation with a specific probiotic strain isolated from breastmilk help? 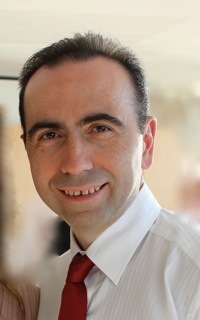 Jim Arsenis is a registered pharmacist based in Sydney. After graduating from the University of Sydney Jim has been a practising community pharmacist for over 25 years. Over this time Jim has developed a passion for natural and complementary medicine, particularly in how it can assist in restoring the bodys’ natural processes that promote health and prevent disease. Jim has developed his passion by continuing education in complementary medicine which has led him to his speciality in the human microbiome, the trillions of bacterial cells that live within us and how they shape our health. Today Jim is the pharmacist and medical liaison to health care professionals, representing Puremedic, for the breast milk isolated probiotic range Qiara.